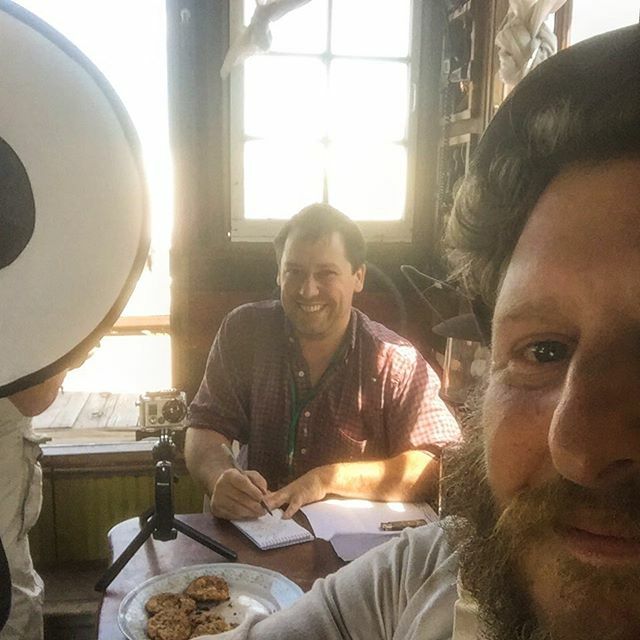 Secret History press work with Tony Watt of the Moline Dispatch-Argus on the Shantyboat. ← Finally a way to indicate to #Shantyboat visitors that we are open (or not) for business. #sometimeswesleep #sometimesweeat #sometimesweretiredofquestions #naptime #hiding #samefivequestions ← Big Dave and Holly’s in Le Claire. Yum.